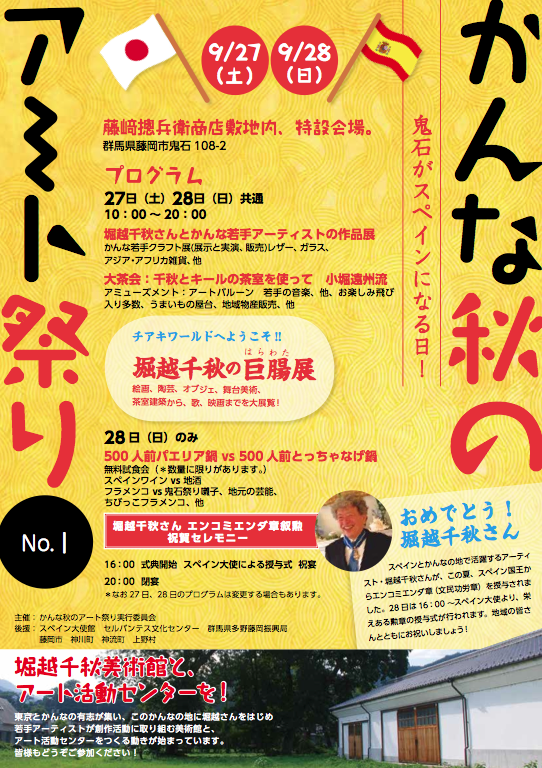 Shiro Oni Studio and the town of Onishi in Gunma will be hosting the Kana Art Festival 2014 this weekend, September 27 – 28. They will be celebrating Chiaki Horikoshi’s recent lifetime achievement award from the King of Spain for his cultural contributions between Spain and Japan. In conjunction with the festivities, Shiro Oni Executive Director, Kjell Hahn, Shiro Oni Studio artist in residence alumni and Art Byte Critique artists, Deanna Koubou, Lyle Nisenholz, Lori Ono and Yuka Otani will have works on exhibition during the two day festival. In addition, Art Byte Critique artist, Arthur Huang will also have works on exhibition during the Kana Art Festival. It should be great weather this weekend, so come out to Onishi this weekend for art, food, tea, and music! Say hello to the artists if you see them wandering about the festival! Thank you for visiting us at the Tokyo Art Book Fair! 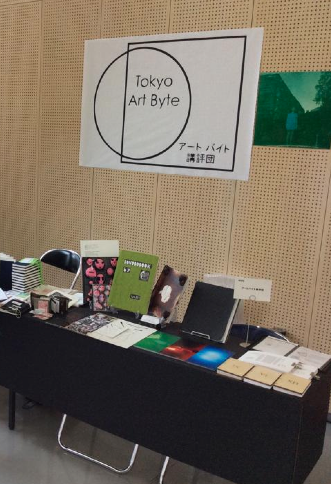 Thank you to everyone who came out to the Tokyo Art Book Fair 2014 this past weekend! We had a great time talking with you and sharing our new works with you. Thank you to those of you who purchased works from Art Byte Critique members. We are happy to know that they have found new homes. We were also thrilled to meet many inspiring book artists and make new friends. Some of new friends will be joining future discussions and events with Art Byte Critique. With the Tokyo Art Book Fair over, we will be resuming regular monthly studio work discussion meetings starting in mid-October. We also hope to have meetings in regards to establishing an online sales presence as well as discussing painless approaches to self-promotion. If you are not already on the mailing list, please e-mail us at artbytecritique@gmail.com to receive information about upcoming events. In addition to myself, other core Art Byte Critique members are making plans to organize studio work discussion meetings so hopefully everyone will get a chance to join in the discussions. I will also be updating the Call for Entries and Museum and Gallery Exhibitions to See page over the next couple weeks. Thank you again to everyone for making the event such a success for us. We hope to see you again there next year!